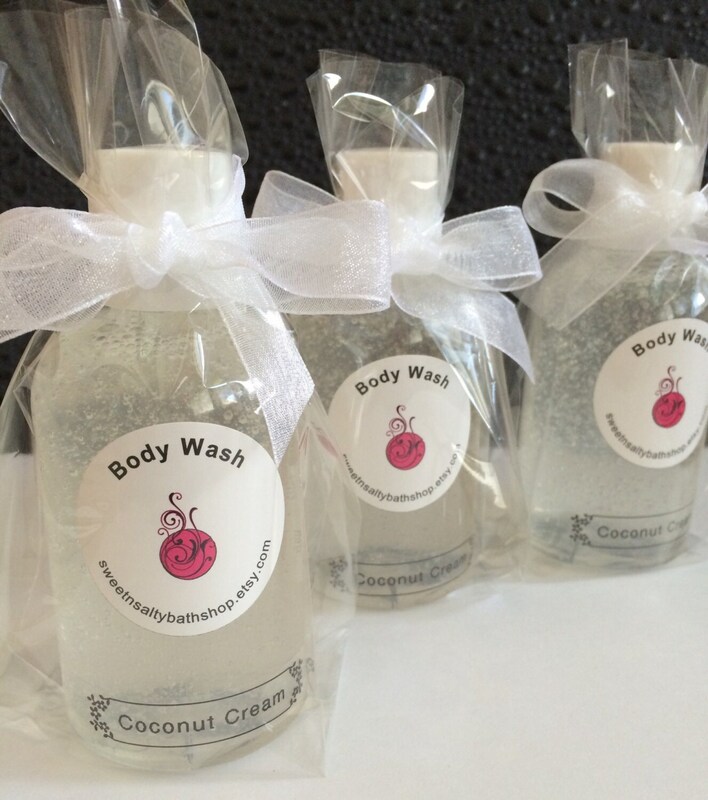 These cute little bottles of bath and body wash make great Bridal and Baby Shower favors for you to hand out to your guests. This listing includes your choice of 20 bottles of body wash in either 2 or 4 oz. sizes. Choose from a variety of scents. 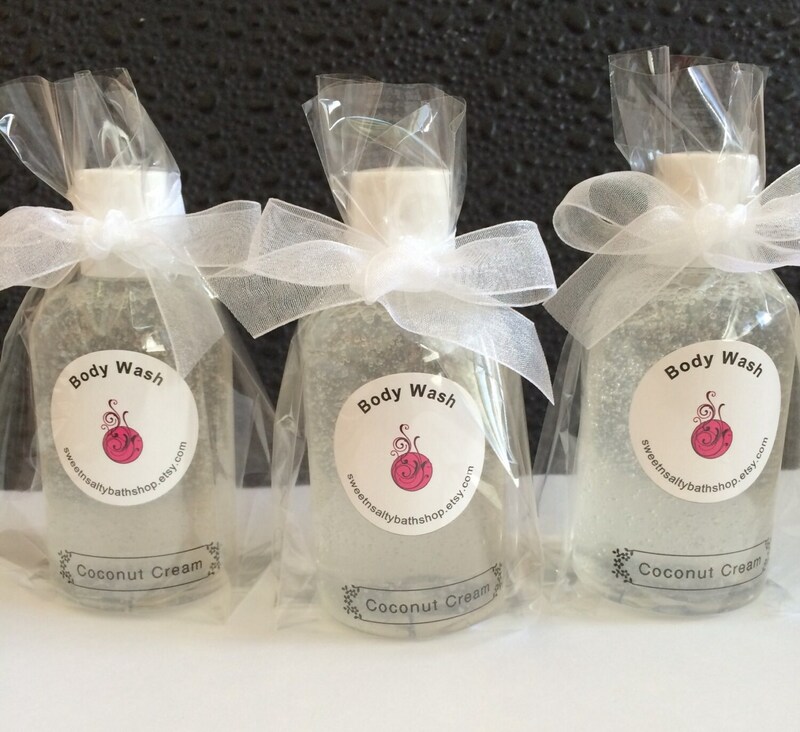 Include in seller notes what color you would like the body wash to be. Each favor is labeled and wrapped in a cello bag and tied with a ribbon bow in the color of your choice (include in seller notes). Glitter sparkles and personalized labels to match your party theme and/or colors are available upon request. Message me for pricing. Processing time is 2-3 weeks.